It should be no surprise to anyone that photos have become a huge part of our lives, recently more than ever. Recent research has found that around 1.2 trillion photos were taken worldwide in 2017 - 85% of which were taken on a smartphone. This figure comprises all of the holiday snaps, selfies and landscape shots that we take every day on our powerful hand-held phone cameras. This, in conjunction with platforms like Facebook and Instagram, where you can share your photos with the world, make photos precious and important to many lifestyles. 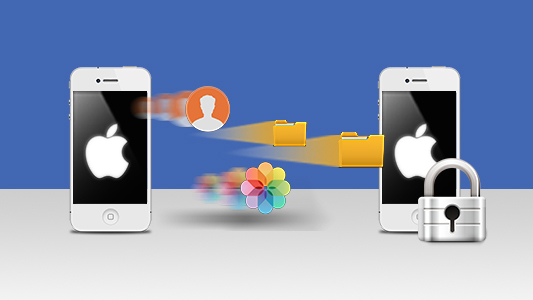 One of the biggest questions we are asked is how to transfer photos from iPhone to iPhone. Of course, when you invest in or upgrade to a new iPhone, you want to take all your photos with you. This article will guide you through the best ways you can do it! First up is our easiest and most robust method - the TouchCopy software. TouchCopy is the only tool you need for managing your iPhone with your computer. 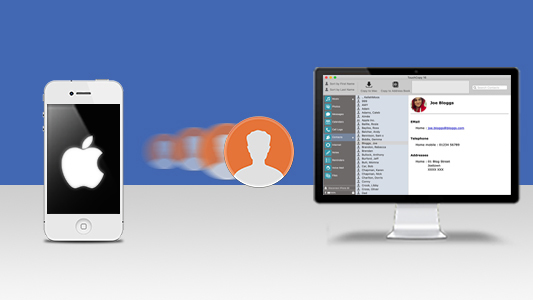 With it, you can copy all kinds of data like Music, Messages, Photos, Contacts and more. You can even copy the photos sen and received in SMS, MMS and iMessages! TouchCopy is great and you can use it locally on your computer, so you don't need to worry about having Wi-Fi or using iCloud services. In this method, we'll need to transfer photos from iPhone to computer, then transfer the photos from computer to your new iPhone. Click Photos > Copy Photos. Once your Photos are copied to your computer, close TouchCopy and safely disconnect your iPhone. Connect your new iPhone and open iTunes. 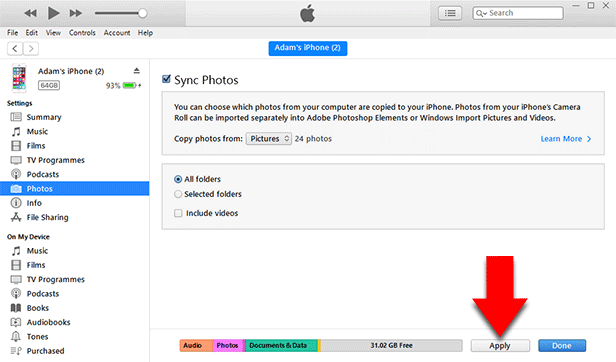 Click the Device button in iTunes > Click Photos > Select Sync Photos from Application or Folder > Click Apply. Next up is Apple's cloud service - iCloud. 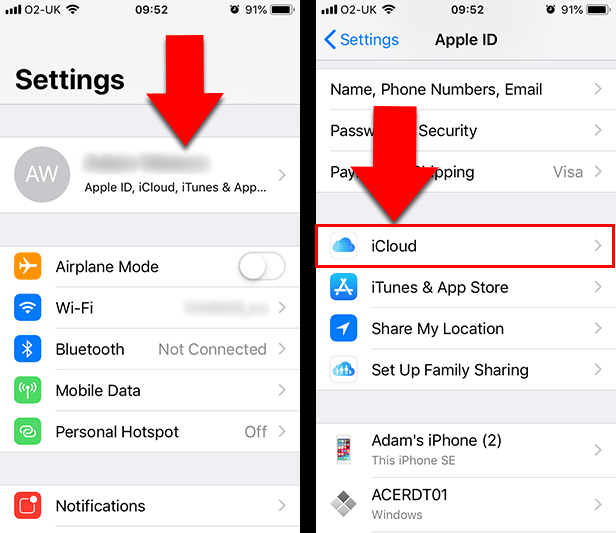 iCloud is great because you can access any of your data that is stored in iCloud on any of your devices that are using the same Apple ID. The restrictions for this method are that it requires an internet connection to access photos or upload photos to iCloud, and that your iCloud space is limited. When you sign up for iCloud, you get 5GB of space free. If you need any additional space, you can take out a monthly subscription with your desired plan. On your iPhone, go to Settings > [Your Name] > iCloud > Photos. Ensure that the "iCloud Photos" entry is toggled ON. Select either "Optimize iPhone Storage" or "Download and Keep Originals". Your iPhone will start uploading photos to iCloud. Once done, enable iCloud Photos on the other iPhone. Open the Photos app > 'All Photos' on the new iPhone to view all iCloud Photos. Syncing photos from iTunes can overwrite your current photo library on your iPhone, so you could lose photos if a backup has not been made. You can't transfer photos with iTunes if you use iCloud Photos (as seen in Method 2). 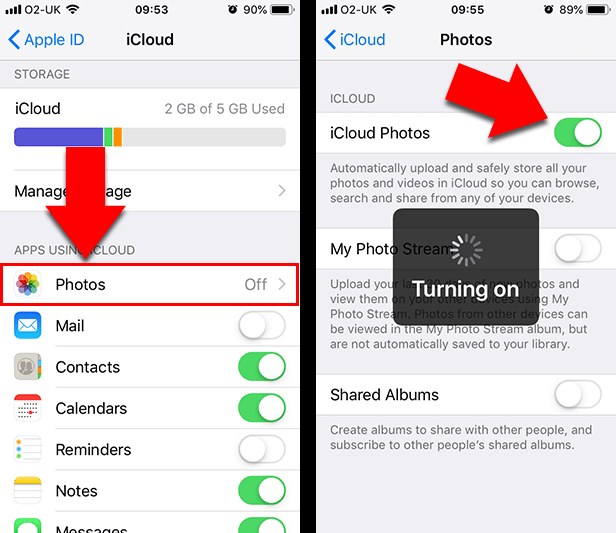 However, if you turn off iCloud Photos on your iPhone, all the photos stored in iCloud but not on your device will be deleted. To avoid any complications, we recommend using Method 1. Step 1: First we need to transfer photos from iPhone to computer. Windows PC- Connect your iPhone to PC or laptop with a USB cable > In the AutoPlay popup, click Import Pictures and Videos > Select a destination for the iPhone photos > Click Import. Mac- Connect your iPhone to Mac with a USB cable > Launch iPhoto > Select the photos you wish to transfer > Click Import or Import Selected. Step 2: Now we can transfer photos from computer to iPhone. Connect your new iPhone to your computer with a USB cable. 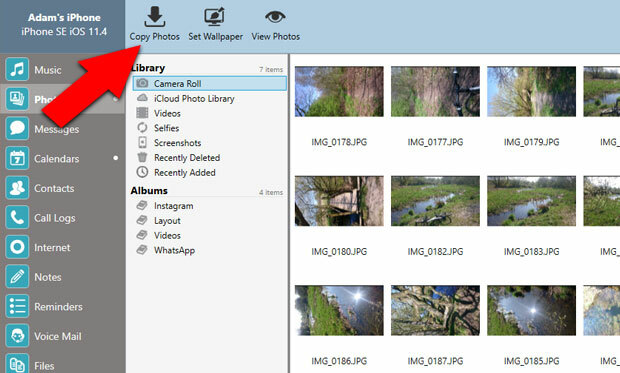 Check Sync Photos and choose an application or folder. The Ultimate tool for transferring files from iPhone to your computer. 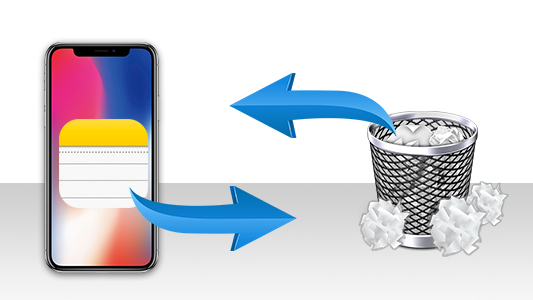 The best way to transfer iPhone Photos to computer.